As a creator, you understand how important it is to register your works before you share them. If you have in mind a relative or a friend who could also use some copyright protection, you have the option of surprising them with an original and useful gift. 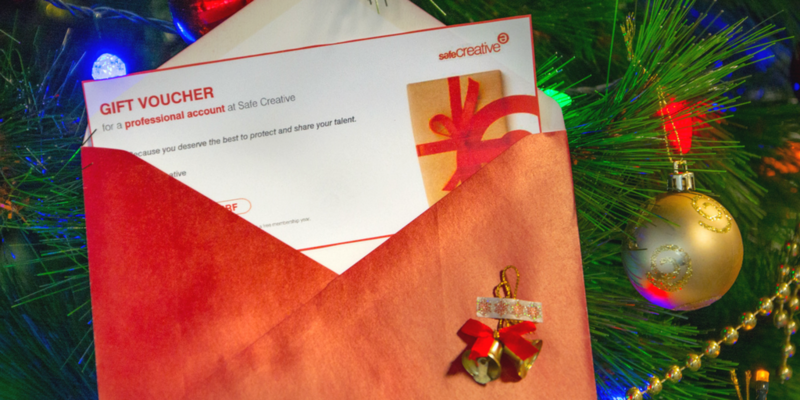 Did you know you can gift Professional and Corporate Safe Creative Accounts? To do so, go to Services > Account gifts. 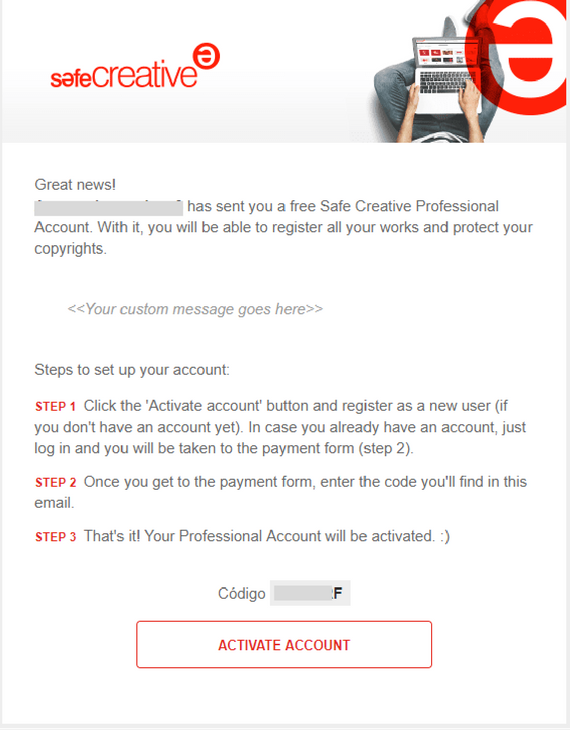 Professional accounts allow creators to register a bigger volume of works, and using “all rights reserved” as their copyright information of choice. They allow up to 15Gb of storage, private registries, multi-authorship, and updating registries with consecutive versions of the same work. They also allow synchronizing with Dropbox and Google Drive. Corporate accounts have been designed with companies and managers in mind; that is, people who register on behalf of third parties. They grant access to several users and allow to manage several authors and clients from a single account, among other advanced features. Each account you purchase has a single-use unique code. You can send it to the lucky artist in many ways, but you have two options from our site. 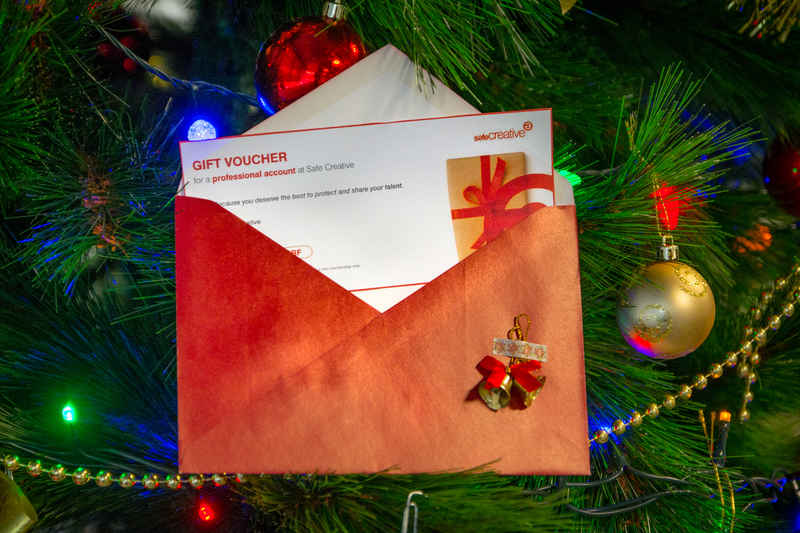 You can send it either via email or print it as a pretty gift voucher, with a custom message. Would you like to see what your gift will look like? See sample PDF voucher for printing. How to activate an Account using a gift code. The person who receives the code needs to create an account, or upgrade theirs, selecting if it’s Professional or Corporate. Once they’re in the checkout, they’ll see a field to enter the code.